In case you haven’t heard of it yet, Exposure Photo and Video’s Val Porras is making is cameras fly and he is loving it. By doing so, he is really taking his craft to a higher level—both literally and figuratively. Besides making his tools fly a couple of meters high, he is also making his videos really more exciting. Imagine, you can now see things as if you were flying without having to ride an airplane or a hellicopter at all. And swear, the results are breath-taking. Aerial or drone videography is what it is called. Val Porras started doing it in July of last year, after he acquired his first device from a hobby shop in Singapore. He had been reading stuff about it before so he thought of giving it a try. And guess what? He made a right decision. The results are really worth it. Gone are those days when wedding videos are merely documentation of all the things happening during the big day. Now, every video has to tell a story even in the absence of words. Of course, to be able to do it, a videographer should be able to show things from a different perspective. This is one of the things aerial videography is really great at. Since it allows viewers to see things from a different point of view, it is also offering a unique persepective of seeing things; therefore, a fresher way to look at and decipher stories. Plus, let’s admit it: not everyone can do it nowadays. Meaning to say, if you have aerial shots in your very own wedding videos, you can be the envy of your friends. Before, if you want aerial shots, you have no choice but ask someone to take videos while riding a hellicopter. Kickass, sure; but not practical. Just imagine the price of renting a hellicopter as well as hiring someone who can take photos from there. Now, thankfully, you can have epic footages without having to pay for the same amount. Dream come true at a more affordable price. Also, having the videos taken from a hellicopter flying several meters above the ground can be messy. The wind coming from the hellicopter can ge strong enough to damage your venue’s set up. Another no-no, right? Just imagine having a hellicopter flying above the venue on your wedding day and the risks it comes with. Note that when you do it, the safety of both the videographer and all the people within the venue can be your liability. What if things go wrong? Are you willing to face the consequences? However, doing drone or aerial videography is not easy. Like what he shared during his talk in the recently-concluded Wedding and Portrait Photographers of the Philippines (WPPP) Photo and Video Congress 2014 at the Megatrade Hall 3, he had to go through a tough preparation process just to be able to make his first flight. Dealing with all the tools necessary is another story. Good thing, he is an applied electronics major which allows him to have a deeper understanding of the science of it all. Now he does not just simply make his camera fly; he also studies everything about it. Given the nature of aerial photography and the risks involved in it, it is advised that the couples trust only the ones who are knowledgable in this particular approach. They should not just hire anyone who claims to know how to do it. Instead, they should get in touch with someone like Val Porras of Exposure Digital Photography who have really studied such a technique. 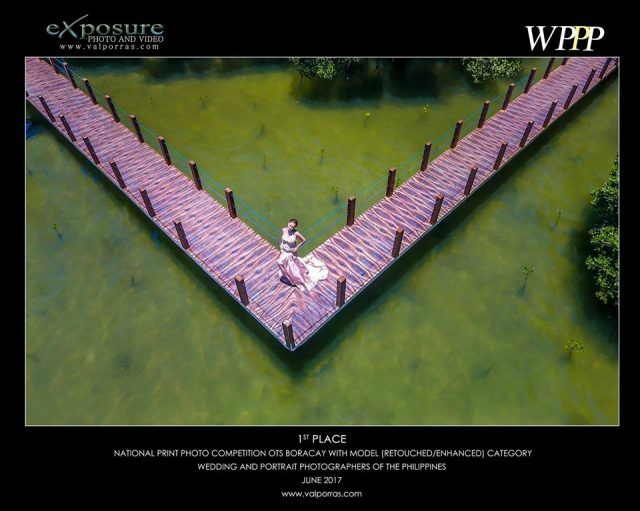 To know more about Val Porras of Exposure Photo and Video and their services, visit https://kasal.com/philippine-wedding/Wedding-Photographers/Exposure-Photo-and-Video/L7165.